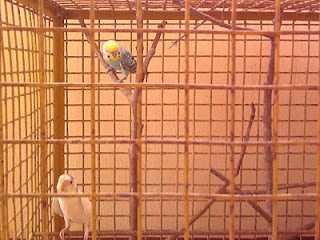 I got a pair of love birds as my new pets.They are in their vivid colors of green, blue and white. The male is colorful and acts in a natural way, but the female one is quite stylish in her way and expect every work to be done by her partner, even grains are sometimes feed by him. Most of the time, the male do somersaults and she moves here and there on the bar. The grains they eat a day is more than their weight. Sprinkle some water over them, they enjoy it, do some drying by fluffing their feathers and immediately return to their eating. Spiced leaves such as mint, corainder and Tulsi are their favorites. Different voices they produce. They whisper in a low voice, when they talk alone. They screech to call us, when we are not giving any attention to them. 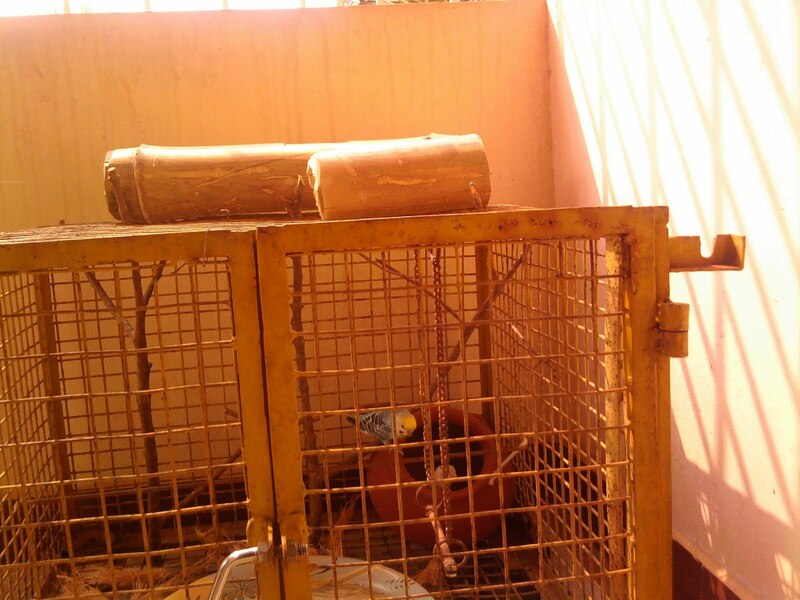 They tweet when they enjoy flying here and there within the cage. Nice to watch...most enjoyable. 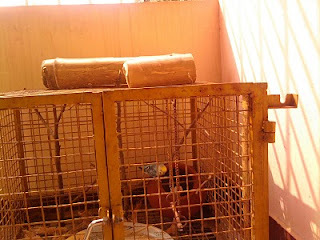 The cage is a old one which was made to keep my favorite pet, a parrot named Bobby. She lived with us for 5 years. She called names, talked many words like 'vaada(come), poda(go)' in our mother tongue Tamil, wished 'Good Morning, Hello' and whistles loudly. Now the cage needs new look. 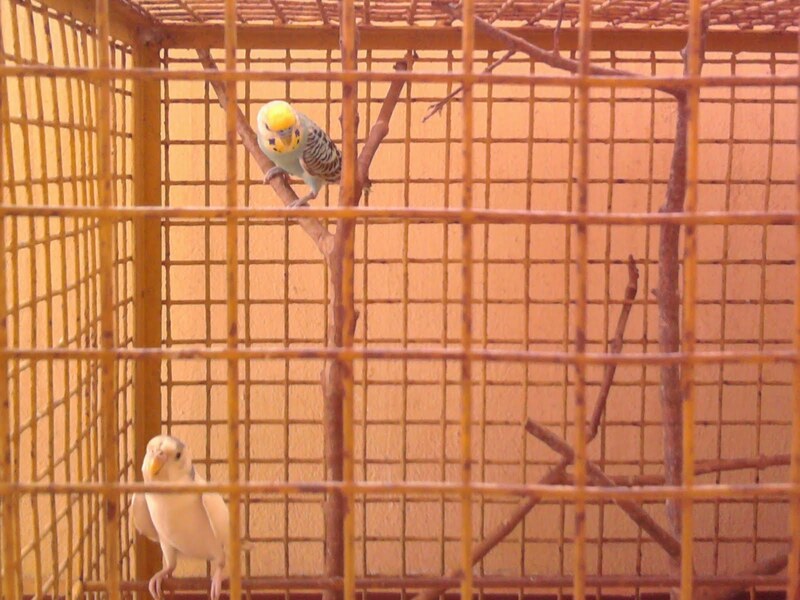 We plan to paint the cage in green and the bars in yellow.